When it comes to comparing the different server solutions for your computing needs, there's a good chance that you've come across allusions to a range of different hosting models, including dedicated servers, cloud services, and virtual private servers (VPS). While any of these options will be enough to get you started on the web for the first time, it's important to make sure that you're prepared to choose the service that best suits your needs. Often, the right choice will come from a little careful research into each available option. The more you know about what each server model provides, the more you can prepare yourself for the best results. 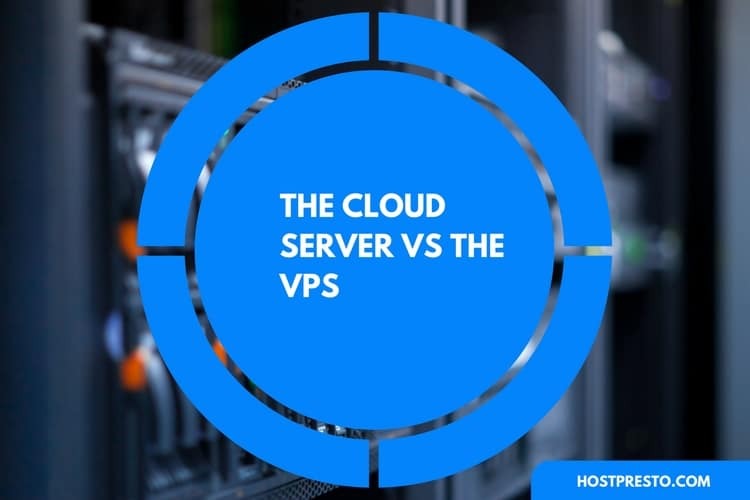 In this post, we've put together information about the different server options you can select, to help you make the distinction between two of the most popular server solutions: cloud and VPS. Before we dive into the positives and negatives of each server option, let's take a look at how each of these server types operate. First of all, VPS solutions, or virtual private servers, are designed to give their users a share of a physical server, depending on the number of hardware resources they pay for. Typically, multiple clients will share the same physical host machine. From a client perspective, a VPS will be very similar to a dedicated server with a mid-range configuration. However, the virtualisation layer of this system means that your VPS can maintain a more uniform range of host hardware while providing a collection of versatile server configurations. In other words, VPS models can provide a more flexible and reliable solution for hosting. Cloud servers, on the other hand, are often confused with virtual private servers, though they are very different in their operation. Both options are based on virtualisation, and come with a range of similar advantages, however, many of the differences will come from your host provider. The right host can take your cloud computing experience to the next level by creating a distinct virtualised environment. In most VPS models, the storage disks and processing power you access will be on a single host machine. However, with the cloud, the storage backend and computing nodes can run separately. Cloud servers can offer a number of distinct benefits, such as simple redundancy and scalability through automation, while still providing a highly competitive pricing and performance model. So, how do you choose whether a VPS or cloud server is right for your needs? VPS models are frequently less expensive than their cloud alternatives. There's no data or file access available between the clients that share the VPS - all information is kept separate at all times. If necessary, a single VPS can be rebooted without any damage to other VPS clients. VPS models don't offer a great deal of reliability. If a physical server is damaged, then all of the VPS solutions on that server will fail. If one person on a VPS does not take security seriously, then the entire system could be negatively affected. For instance, one virus could spread across the whole network. Because computing resources are shared between the clients on a VPS, CUP, bandwidth and RAM performance can be damaged if another VPS requires a higher load. Only one single operating system can be used at a time by each server. Virtualised private servers are not very scalable. The level of storage you have access to will be based on the limitations of the physical server. Once you reach your capacity, you'll need to invest in new space, which could mean hours or days of downtime. Versatility and scalability. You can add more power to your server in seconds. Clients can build their own custom network architecture, IP deployment services, load balancing, and firewalls. If a physical server drops, then cloud servers will simply move to another physical server without any outage problems. There are fewer concerns about lagging CPU power or RAM, regardless of whether another cloud customer enhances their computing loads. The cloud is completely secure because it offers you your own virtual server. If a client on your shared cloud platform is hacked, you won't risk any of your own data. Every customer on the cloud can select their own operating system. Unlimited storage available thanks to a range of SAN storage solutions. The only real negative of cloud-based servers is the fact that they can be somewhat more expensive than a VPS. For years, the VPS has been recognised as one of the best ways for businesses to minimise IT costs and improve efficiency. By moving programs and applications into a single virtual server, you can enjoy high levels of security, privacy, and control. However, the problem with VPS is that it simply doesn't scale well, and it may not be as effective for growing businesses. On the other hand, investing in a cloud server is like buying a much larger digital ecosystem that allows you to grow and change as necessary. With a cloud environment, you can easily add or remove resources from your server, including processors, Ram, and more.